Dallas police announced Friday night they are launching a criminal investigation into a domestic violence assault complaint filed against Cleveland Browns quarterback Johnny Manziel. The move comes a day after police said they had closed an investigation into allegations that Manziel had hit his ex-girlfriend, Colleen Crowley, in an incident last Saturday that started at a downtown Dallas hotel, and that he would not face charges. Police said in a release that they received an assault complaint Friday for a Jan. 30 incident, and Manziel was listed as the suspect. It is not uncommon for the victim of domestic violence "to question or delay reporting an assault," police said. "This is an ongoing investigation and updates will be made as information becomes available," the release stated. Crowley released a statement to WFAA, the ABC affiliate in Dallas, on Friday night. "On Feb. 5, I met with domestic violence specialists at the Dallas Police Department," she said. "I provided them with a complete description of the events on the night of January 29th and answered their questions. I don't know what will happen next with this case -- that'll be up to the Dallas Police Department. I am hopeful that everyone will understandably respect my wish for privacy at this time." The new investigation comes on a day when Manziel was dropped by his agent, Erik Burkhardt, and his father, Paul Manziel, told The Dallas Morning News that if Manziel didn't get help, he feared his son wouldn't make it to his 24th birthday in December. Paul Manziel also told the newspaper that his family had tried to get Johnny Manziel into rehab twice in the past week, but he had left twice. Also Friday, Crowley reportedly got a protection order against him in which he must stay at least 500 feet from her home and place of work for two years. In the incident last Saturday, Manziel allegedly struck Crowley several times at the Hotel ZaZa in downtown Dallas, according to a Fort Worth police report released Thursday. According to the report, parts of which were redacted, Manziel and Crowley left the hotel after he struck her. Manziel drove them to Crowley's apartment in Fort Worth. Crowley told officers she and Manziel shouted angrily at each other, going back and forth, during the drive, and that he struck her several more times. WFAA, citing unnamed sources, reported that Manziel told Crowley to "shut up or I'll kill us both" after he forced her into the car. She alleged he was acting "as if he were on some kind of drugs," but maintained he was not intoxicated. Manziel, in an interview with TMZ Sports posted on its website later Thursday, said of the claims he struck his ex-girlfriend: "It didn't happen." He also said, "I'm completely stable. I'm safe and secure." A source close to Manziel, who spoke to the quarterback Friday, told ESPN's Jeremy Fowler that Manziel "is concerned" about all of the stories about him and said he is doing "all right." The Browns released a statement earlier in the week saying they would address Manziel's status "when permitted by league rules." A source told ESPN's Pat McManamon earlier this week that the Browns plan to release Manziel in March. Johnny Manziel has had a series of issues, including a weekend police investigation in Texas for allegedly assaulting his girlfriend. No Charges were filed, and today he was dropped by his agent. 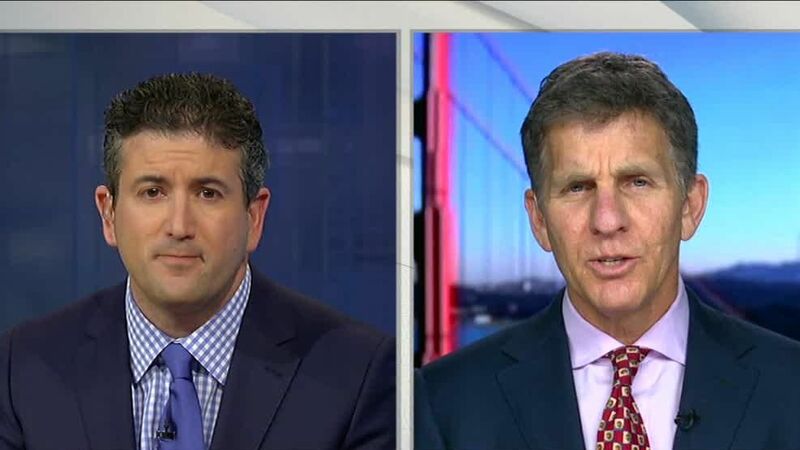 Andrew Brandt joins OTL with more on Manziel. 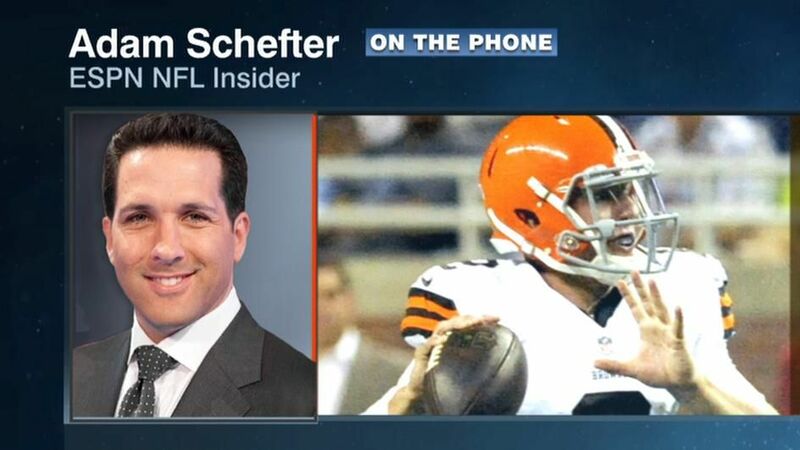 ESPN NFL Insider Adam Schefter joins Mike & Mike to break down the current situation involving Johnny Manziel allegedly striking his ex-girlfriend and to explain why he believes the quarterback has ruined his chances in the NFL.